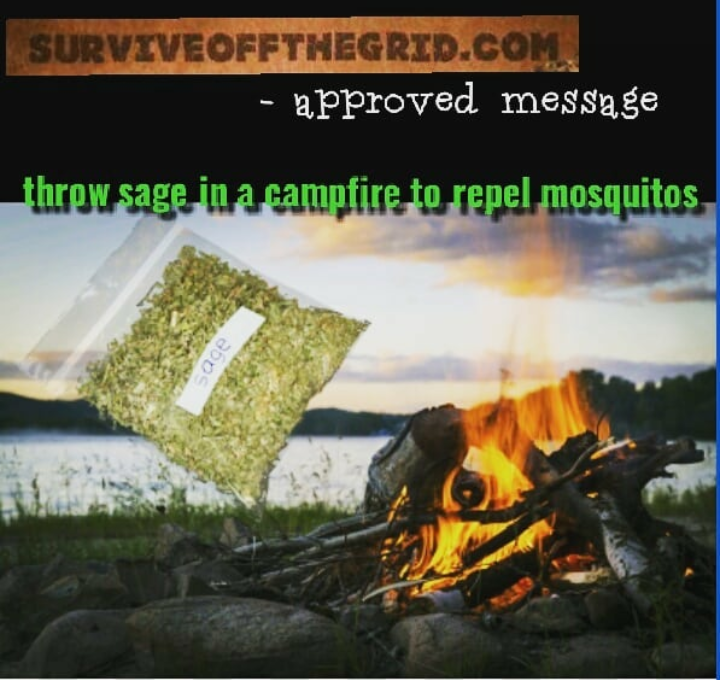 Mosquitoes are no laughing matter for sure out in the wilderness and every way you have to keep them away the better it will be for you and your party of survivors. Throwing Sage in your campfire is a great way to help repel mosquitoes from your group. Here is where I have found people that sell pretty cheaply sage. Note these sellers are not I, but amazon is a pretty safe place to shop.